When did you discover 3D and VFX? What programs/plugins/scripts do you use? Born in South Korea and currently living in New York City to attend graduate school at School of Visual Arts. I am an artist who designs and visualizes architecture in an imaginary world. I believe one of the most attractive aspects of visual arts is imagining something that can’t be real regarding on current technologies or social rules. Among visual arts, 3d visualization is the one that has the least limitation of expression and depiction. My background is in architectural design. I’m still enthusiastic in studying it and I was awarded in academic and professional fields as a result. After seeing Lebbeus Wood’s work, I was very impressed by his revolutionary, experimental, and theoretical architecture. I got interested in designing architectural structures that cannot be built. I can freely express my imagination in a world unlimited by law, ethic and technologic issues. I saw my potential in the unreal and futuristic imaginary environments in films and it made me want to become a 3d environment artist rather than an architect. In 2004, I started to work as a 3d architectural visualization artist. The programs and plugins I mainly use are 3ds Max, Maya, Photoshop, After Effects, Real Flow, After Burn and many other programs and plugins. I use V-ray and Mental-ray as render engines. You managed to shock a lot of Vimeo users with you “The Light” project. Can you give us an insight on the process, the goals of the project and the difficult parts? What was the biggest challenge you faced? The goal of this project is spread out the Gospel. I struggled with the idea of converting this message in an artistic form and then I found this passage from the Bible (When Jesus spoke again to the people, he said, “I am the light of the world. Whoever follows me will never walk in darkness, but will have the light of life.” from John 8:12) which can be visualized in artistic way. In the Passage, Jesus uses Light and Darkness as metaphors to emphasize his message. I adopted the metaphors to create the story of ‘The Light’ which is the battle between light and the darkness. In this project, I started to work simultaneously on each process without a storyboard. I symbolized each character based on the description in the Bible to make the visual of the movie powerful and strong. For 5 months I tried to make the visual as simple and clean as the original concept. That was the biggest challenge of this project. Since I’m always focused on designing detailed oriented decorations (as you can see in my demo reel) I had to replace the meaningless elements of each object several times for this project. You have a Bachelor Degree of Engineering in Architectural Design at the Seoul National University of Technology and a Master of Fine Art Degree in Computer Arts in the School of Visual Arts. Do you see architecture as an art or as a science? I see architecture as both: an art and a science. For me, architecture is the most attractive art. The reason I like visual architecture is that I can find a beautiful proportion in every piece of architecture. Even if I just see the plans of a well-designed architectural structure, it touches me. Dividing the space in limited spaces is very interesting. To do that, you would need not just a strong concept but a strong sense of function also and to make if functional for everybody, science should be involved to solve technical challenges. Even if I design imaginary architecture, I always consider fictional users for my space. What do you follow in an architectural project? (the shape, the space, the function)…and why do you think it’s important? In architectural project, I try to follow the aesthetic sense and the function because it is a very practical art. The most important thing is that a space must be appreciated by users not just by the architects who can get lost in their sophisticated concepts. Your experience covers both production and post-production. Which one is more rewarding and why? I really enjoy both of them. I would say I just like design the most because it makes me unique. How important are VFX for you? I think there are two styles of VFX. One of them makes visuals starting from a live-action footage and the other creates abstract visuals. I believe VFX have contributed to extend CG to fine art. Since each effect I used so far is at a beginner’s level, I can’t say I have a difficulty achieving them. It takes some time to test a lot of them and to play with the settings. Tell us a bit about your cartoon project: Music City. How did it start? What was the feedback? What were the difficult parts? I had plenty of time to work on whatever I want in my first year in SVA. Since I love both architecture and music, I started to design music elements applied in a virtual architecture and then made some scenes to describe how it is designed. I learned a lot of things from this project. Animation and layout are the most difficult parts. What is the typical starting point in a project? How long does it usually take? When something inspires me I start designing in a 3D program. If that inspires me even more, it can transform into a project. If not, it’s going to be just another render in my demoreel. What’s the one project that you received the most praise for? I was awarded 1st prize ‘Digital Architecture Competition’ Architectural Institute of Korea when I was an undergraduate student in Korea. Do you think computer graphics changed visual advertisement and consumer behaviour? Of course. People are instantly intrigued by photo-realistic and fantastic computer graphics applied in visual advertisement. 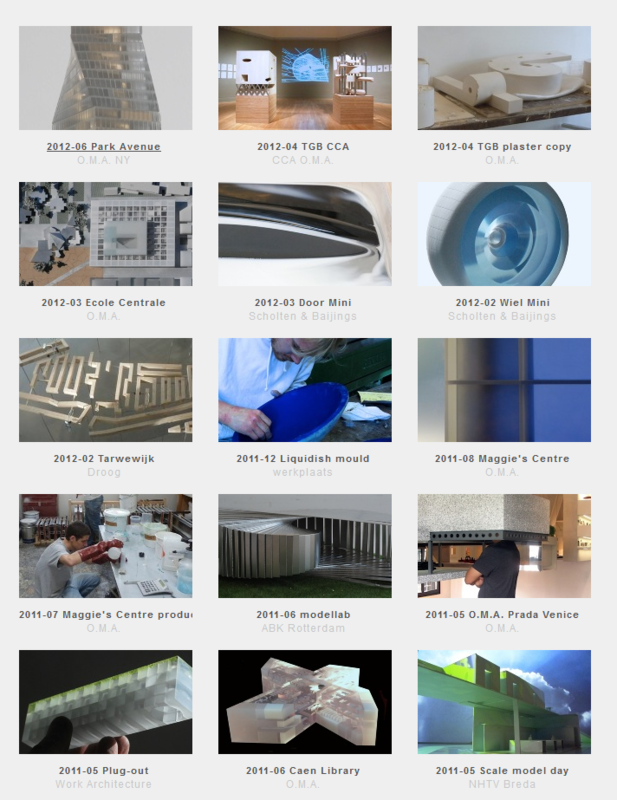 You also give lectures in universities for students who study 3D design applied in architecture. With the market becoming more and more competitive, what do you believe is a must that an artist has in his portfolio or skills? I think the most important aspect an artist must show in his portfolio is a strong design sense and craftsmanship. My favourite movie is ‘My Beautiful Girl, Mari’ which is Korean animate film released in 2002. One of the reason I like this movie is the sound track is very sentimental and I am inspired by yearning emotion, memories and music. What do you have up your sleeve for future projects? I have two very talented friends who studied with me in MFA Computer Art Department in School of Visual Arts. Since we’re all Korean but each one of us has his own projects, we often talk about finding the time to start a project team and make a short film about the beauty of Korea. If you had the opportunity to spend a day with anyone from this industry, who would it be? If you had unlimited resources (from artists to money) what path would you take? What advice would you give to someone who wants to specialize in 3D?